These cloth doll patterns were offered in an undated catalog named Needlecraft Patterns. 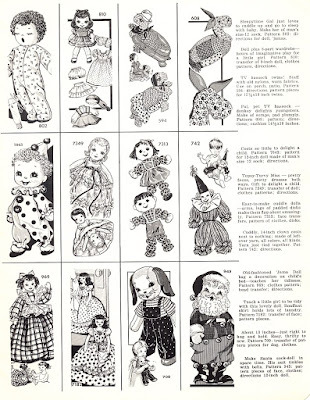 This appears to be another incarnation of Reader Mail, Inc., a company that advertised all types of craft patterns in newspapers across the U.S. Because the catalog also offers knitting patterns for Barbie dolls, with photos of dolls from the early 1960s, that helps to date it. The 9" doll with wardrobe of clothes, the laundry bag doll and topsy turvy doll are both baseball head style. 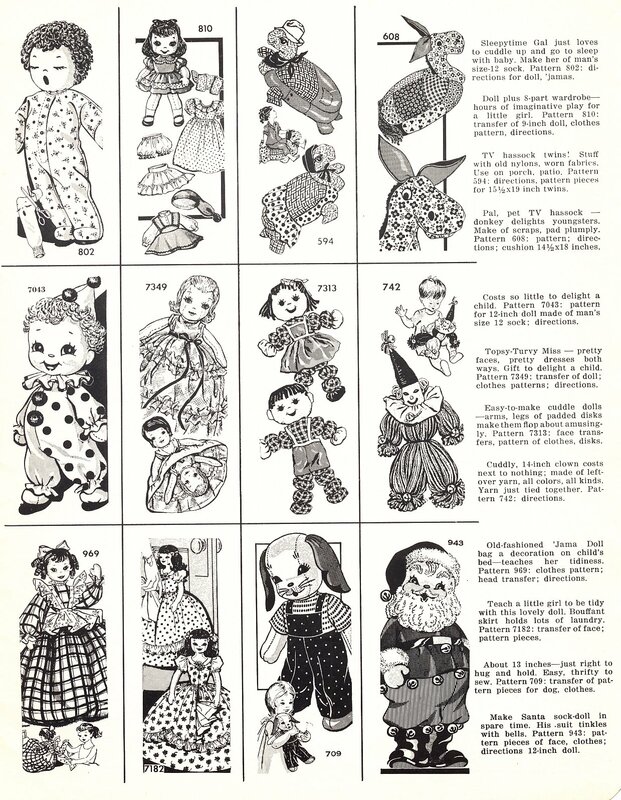 The Sleepytime Gal, 12" clown and Santa are sock dolls. 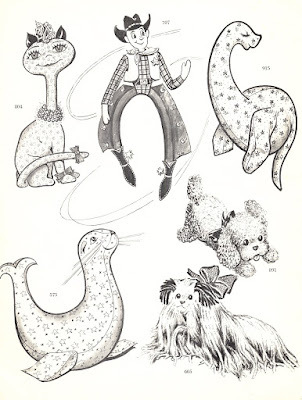 The floppy cowboy doll is 44" tall.